The burnt settlement in Khadagaun of Palata Rural Municiaplity in Kalikot district. SURKHET, Dec 30: As part of its effort to rehabilitate the locals rendered homeless by the massive fire in Khadagaun last week, the provincial government of Karnali has announced to construct an integrated settlement for the fire victims. A meeting of the provincial Cabinet on Saturday sanctioned a total budget of Rs 43 million for the settlement. "With the objective of spending Rs 500,000 for each victim, we have sanctioned a total budget of Rs 43 million so that an integrated settlement could be built there," said Provincial Minister for Land Management, Agriculture and Cooperatives, Bimala KC, adding, "We will construct an exemplary settlement in the same area where the houses were reduced to ashes." Minister KC, who is also the spokesperson of the province, said the government has forwarded the process for designing the map of the proposed integrated settlement and arranging technical labor for the project. 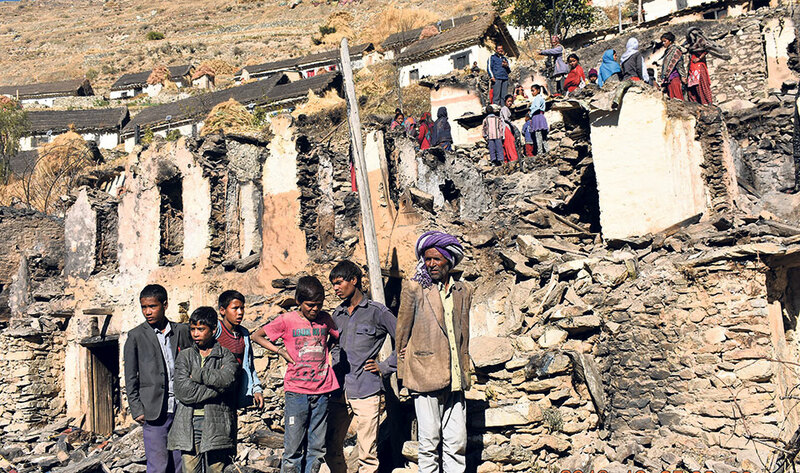 Altogether 87 households of Khadagaun in Kalikot district were rendered homeless by the fire while seven persons were injured. As many as 18 cattle were killed in the late-night incident. The provincial government has urged the authorities concerned to expedite the construction works and manage immediate relief simultaneously. Meanwhile, the federal government has appealed all to raise funds for helping the fire victims. "The provincial government has allocated Rs 4.3 million while various other authorities have assured to provide financial help as well as relief materials," said spokesperson KC, adding, "We have decided to utilize the money collected from the government and non-governmental organizations for the new housing." The provincial government had provided Rs 20, 000 to each of the victim families as immediate relief along with various other necessary materials.